A funding resource for career development, lifelong learning, educational programs, and the future, the NSA Scholarship Foundation 2017 works to build career paths into and within the accounting profession. With its scholarship awards, the Foundation assists dedicated students who are committed to a career in accounting by providing financial assistance to support their education. With its educational grant program, the Foundation supports professional development and educational activities to expand the body of knowledge within today’s practitioner community. Formed in 1969, the Foundation is a 501(c)3, tax-exempt organization and relies on voluntary, tax-deductible contributions to support its programs. A Board of Trustees holds full fiduciary responsibility for management of the Foundation and its programs. Each year, thousands of students contact NSA seeking help to meet the ever-increasing costs of higher education. 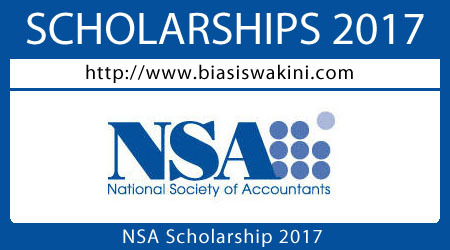 In response, the NSA Scholarship Foundation provides financial encouragement to promising accounting students across the country. The Foundation awards scholarships to undergraduates enrolled in a degree program at an accredited two- or four-year college or university. Applicants for awards are judged on the basis of scholastic achievement, demonstrated leadership ability, and financial need. In 2016, The Foundation awarded over $35,000 to 32 deserving students. The 2017 scholarship application window is now open! 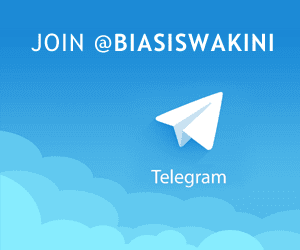 0 Komentar untuk "NSA Scholarship 2017"